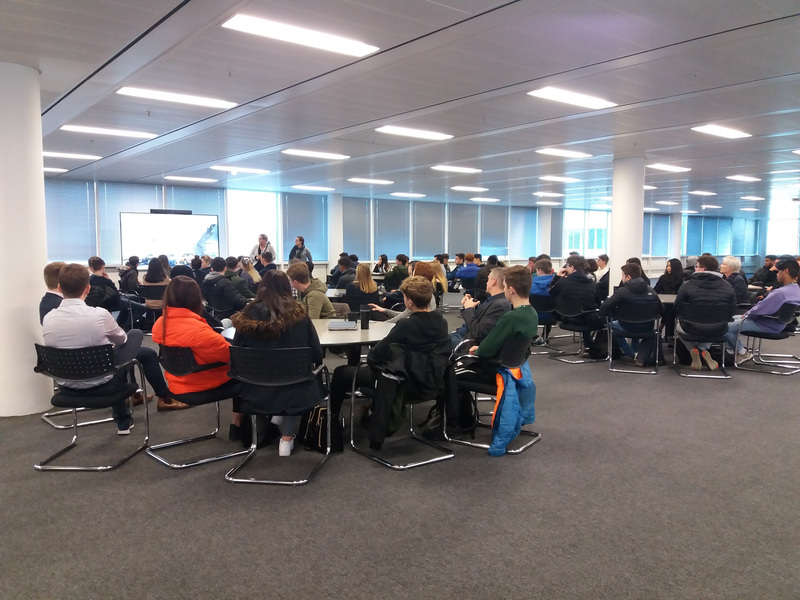 The event organised by Gina Finn, Internal Communications Manager, was hosted on the top floor of the workplace; 30 employee-volunteers from BMW mentored the students throughout the day to support their learning and development. 78 business studies students attended and worked with the staff team to create detailed action plans in relation to upcoming charity drives that will run through College during the week of 3rd December. Laura Wakefield, Employability Coordinator, said: "It was such a fantastic and inspiring day for the students who came away motivated, focussed and changed as a result of the visit. A huge thank you from Farnborough Sixth Form to Gina and all the BMW mentors for sharing their time, knowledge, expertise and guidance. The students benefited in terms of their coursework and employability skills but really felt inspired by the whole event; the charity drive events they have organised will benefit the local community charities as well."